Originally published on 26 August 2013. 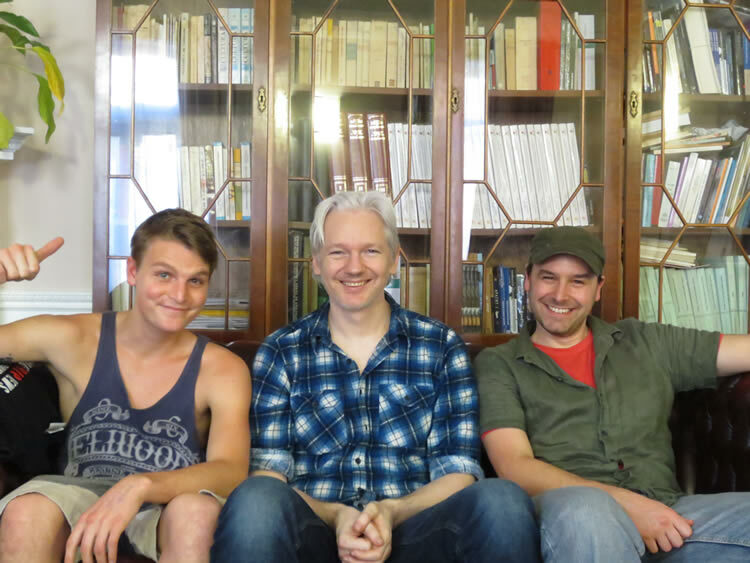 Not many people realize that Julian Assange is actually an Australian, and right now his inner-Aussie is truly shining through. His formal shirt has been replaced with a bicep-yielding singlet and he’s wearing a comical peroxide wig with a mullet and bandana attached. Chuckles fill the Ecuadorian Embassy office as he grips a can of ‘ozzy spirit’ and mimes a parody version ‘You’re the Voice’ by John Farnam. Barely two hours earlier I had been battling a hangover and struggling to figure out the London underground. My brother – Giordano Nanni – also happened to be in town. Sight-seeing plans were diverted by a last-minute phone call and before I knew it, I was en route to the Ecuadorian Embassy in Knightsbridge, preparing to tag-along with my bro, who just happened to have a meeting with the world’s most controversial free speech activist. 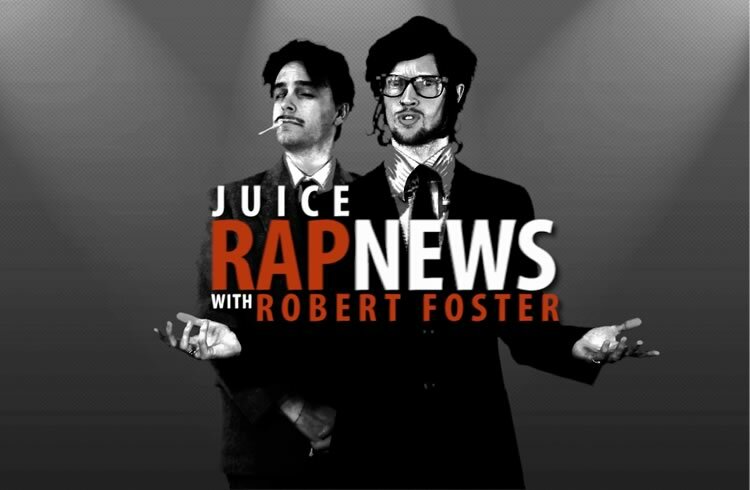 Together with Melbourne-based rapper and spoken-word poet Hugo Farrant, Giordano uses a home studio to create a satirical video bulletin that is pushing the limits of journalistic creativity and taking online communities by storm: Juice Rap News. As a writer, media activist and doctoral historian, Giordano ensures that all themes are researched soundly and argued compellingly. Hugo, on the other hand, has the vocabulary of an encyclopaedia and more flow than, er, let’s say, the Amazon. The duo’s respective strengths – content and form – are synthesized alchemically in the persona of Robert Foster: the likable anchorman-character who hosts each episode, delivering rhyme and reason in equal quantities. The show covers a broad spectrum of social and political subjects, from Obama’s Nobel War-is-Peace prize and America’s gun-debate to Berlusconi’s scandalous tendencies and the saga of Kony 2012. The latest episode, however, delves into the world of Australian politics: comical accents, institutionalized racism and Julia Gillard’s infamous misogyny speech. Not to mention Julian Assange’s exciting bid for a seat in the Australian Senate under a newly registered WikiLeaks party. 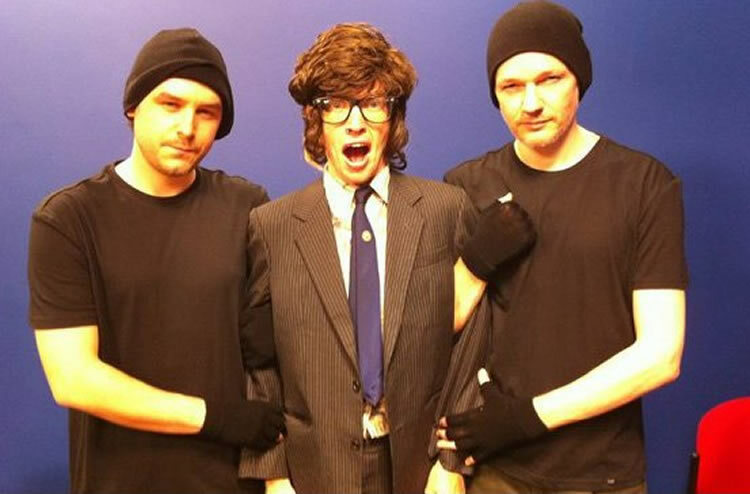 The Rap News team has collaborated with Julian previously, and Giordano is now meeting with the asylum seeker to exchange ideas and rap-lines for a new video. The meeting begins with casual banter of a sort that would intimidate most university professors. I struggle to follow and soon become dizzy from repeated nods of feigned comprehension. Nonetheless, Julian is good-natured and does his best to include me in the conversation. Giordano brings up my own journalistic interests and I mention writing for ‘a little platform called Mahala’. To my surprise, Julian nods approvingly and says that he knows of it! I swell with pride and momentarily feel like an important journalist. My smugness dissipates as soon as the conversation turns to the geo-politics of Sweden and I realize that I have no idea what they’re talking about. In the world of satire, laughter is currency; and humour is the knife that Rap News tactfully employs to open-up some contentious political terrain. So, in the name of comedy, Giordano tentatively offers Julian a cameo role in the upcoming episode. After some thought, Julian accepts – it seems that fame has failed to corrupt his healthy sense of humour! Before long the standard of intellectualism in the office has dropped a notch: Julian is testing some of Giordano’s outrageous props, thus leading to the scene of hilarity described at the beginning of this piece. It’s not every day that you see one of Interpol’s ‘wanted persons’ masquerading as a hillbilly. Despite the spoofs, gibes and satirical character-portrayals that decorate each episode, Giordano and Hugo are not merely creating another epic rap battle of irrelevance. Every gag is a thought-provoking statement and the rhymes often form a Hegelian dialectic, whereby opposing perspectives are synthesized to suggest a higher truth. It’s for this reason that the show has captured the interest of intellectuals such as Julian Assange and Noam Chomsky; and it’s no surprise that the duo received the prestigious Kindle Project Makers Muse Award – recognition of innovative efforts towards relevant societal change. Rap News succeeds where academia has failed, by effectively disseminating the knowledge that would normally have remained buried within the ivory towers of academia. For example, a theme which runs throughout the series is that of a ‘new world order’. However, the show differentiates itself from crackpot conspiracy theorists, even positing critiques of them via the unhinged guest-character Terrence Moonseed. Instead, the show takes a more refined approach by shedding light on the mindless majority and our own complicity in the status quo. In this way, Robert Foster successfully strikes a balance between the absurd but exciting world of conspiracy theories, and the intellectual circle-jerk that defines academic discourse.  Insightful perspectives are also offered on themes such as internet freedom, journalistic integrity, indigenous rights and historical amnesia – the slogan of the show being ‘History is happening’. Do independent, backyard productions of this sort represent the future for progressive journalism? Rap News allows the citizenry to engage with politics without their becoming politicians, to pursue knowledge without being co-opted by the university; and to interrogate the intricate patterns of deception promoted by the mainstream media without becoming paranoid conspiracy theorists. Humour and wit replace Mohawks and spray-cans, whilst a healthy dose of sardonic insight replaces a witless barrage of puerile aggression. The show effectively addresses the shortcomings of the fourth estate, providing a new way for subversive thinkers to give the man a metaphorical middle finger. History is NOW indeed… great brilliant article and purpose. Love it. We need more independent creative deliveries of the big subjects people need to ponder and own in their lives. Humour transcends culture and also drives it…..as do all the arts. Brilliant work Rap News. But why calling conspiracy theories absurd? They are not. Money is created out of thin air, Federal banks, GMOs, Petrodollars controlled economy, these are some examples of conspiracies for population control. Thanks! Hot damn. A casual 1100 likes! AWesome article! By your writing I think your smarter than you take credit for! You certainly “get” what RN is about. I like Julian Assange, and maybe in Austrialia that is the best, but somebody from EU thinks that is not the best campaign to him. He has a serious and smart image, and this can confuse to some people.